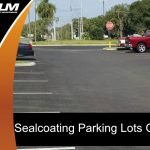 Every asphalt parking lot eventually requires maintenance. 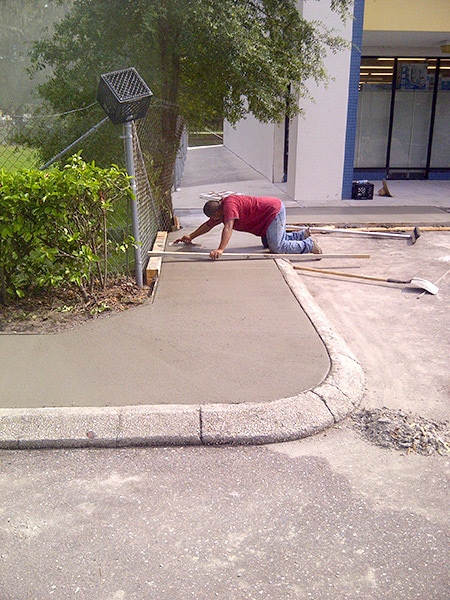 Asphalt maintenance is similar to automobile maintenance and household repairs. If it is not completed in a timely manner, it will sabotage quality and reliability. 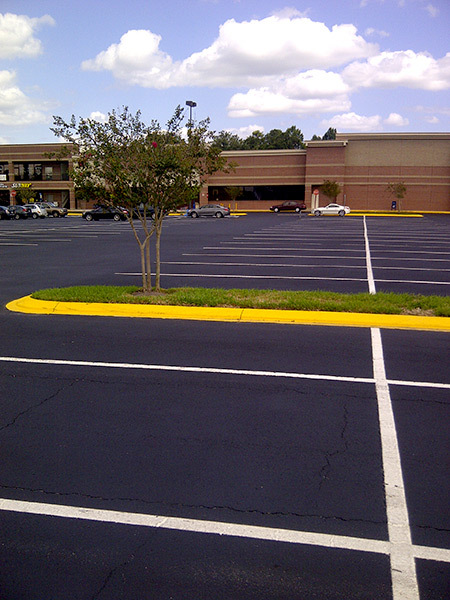 So, don’t assume your asphalt parking lot will continue to prove reliable as time progresses. It will eventually reach a point where its integrity is compromised. 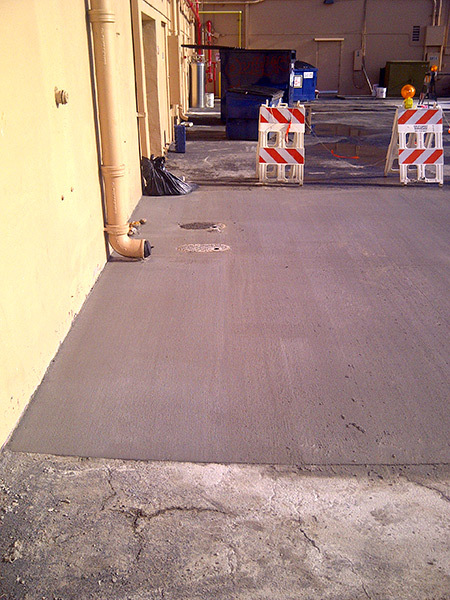 Deteriorated asphalt might even prove hazardous to you, your employees, your clients, and others. The bottom line is asphalt pavements have stresses that gradually produce defects. 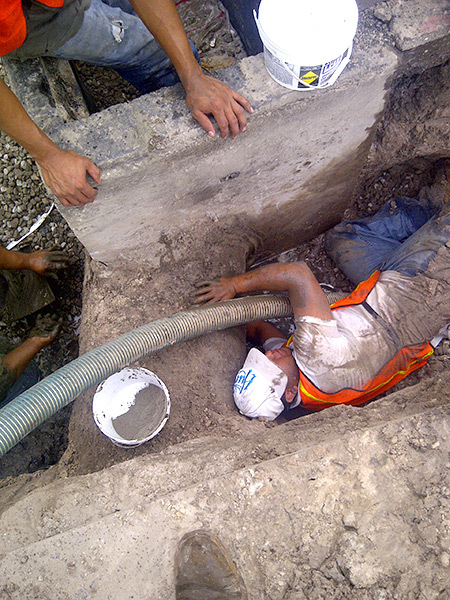 These stresses are caused by all sorts of stimuli from traffic to movements in the underlying below, holes, cracks etc. 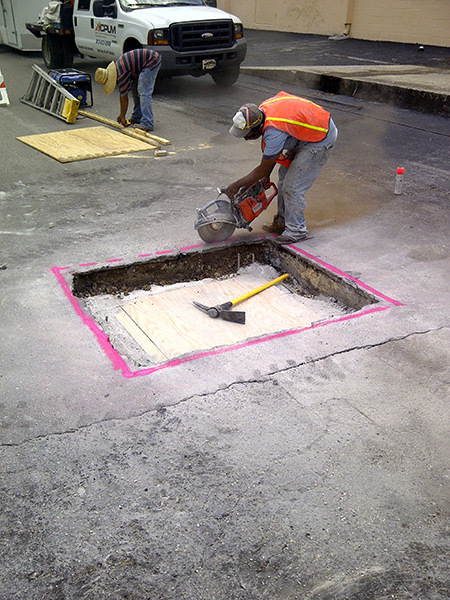 These defects must be pinpointed and repaired right away by proven asphalt maintenance professionals. 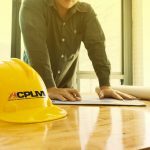 Here’s exactly what to look for to determine if your property requires ACPLM asphalt maintenance. Potholes occur when the pavement is weak. Perhaps your asphalt parking lot has undulations that cause the back ends of trucks to smack down and form potholes. The asphalt surface might be too thin, allowing standing water to breach cracked spaces and send water into the base. This forces the asphalt to lift and form potholes. 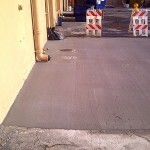 Pavement distress is often caused by the accumulation of moisture within the pavement structure. This is precisely why it is so important to maintain your lot’s drainage system. Eliminate all dirt and contaminants from the catch basin and pipes. This maintenance will empower your lot’s drainage system to function as designed. It will also help your finances as you won’t spend nearly as much on parking lot repairs and replacement. Have your drains inspected at least once per year? If a clog is identified, it must be cleaned right away. In certain instances, it might necessary to enhance or replace the current drainage system to ensure optimal functionality. If new asphalt pavement isn’t treated, it will gradually break down when exposed to the elements. 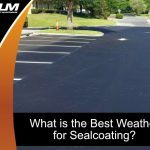 Everything from dripping oil and gas to the sun’s harsh rays and the pounding rain can damage asphalt. 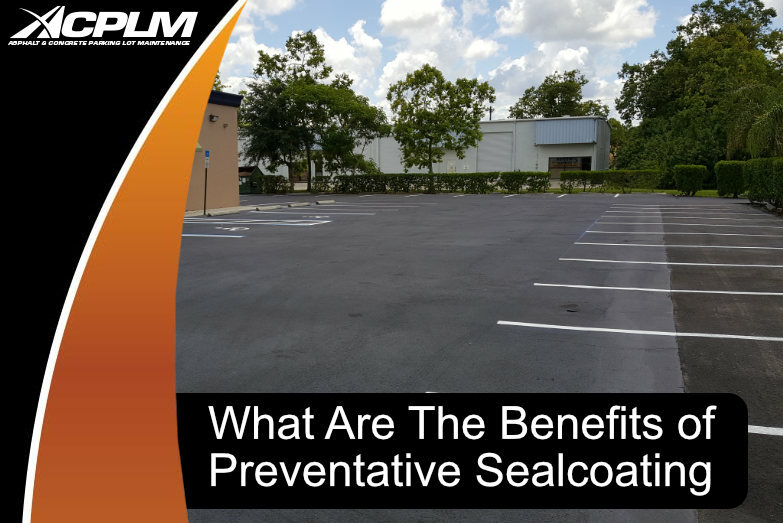 The best form of preventative maintenance for lots is pavement sealer. It is affordable and provides extensive protection that delays or eliminates prospective repairs. Ideally, asphalt maintenance resealing will occur a year after the new asphalt overlay is installed. It should then be performed every couple of years. The optimal application is two coats with latex and sand additives. Sand is incorporated into the mix to prevent skidding. Latex is adding to boost the surface’s longevity. 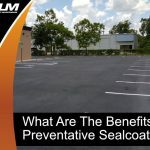 This minor form of asphalt maintenance can pay big dividends. 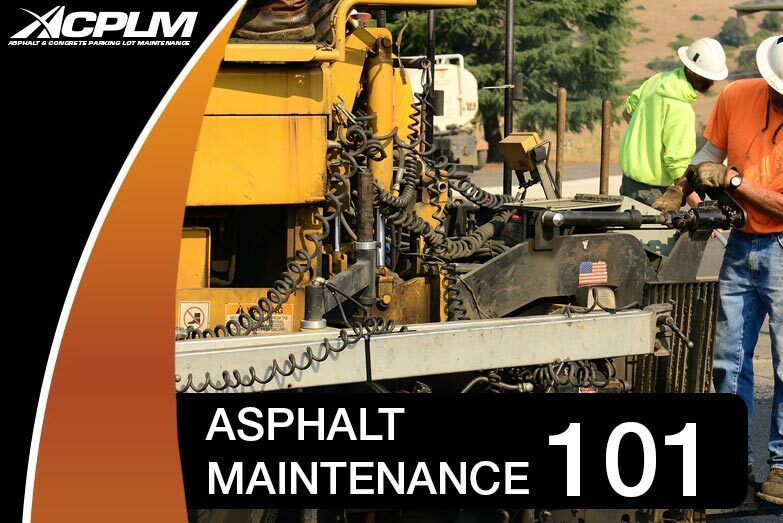 With the help of ACPLM’s asphalt maintenance experts, your pavement will last longer, look better and increase in value. 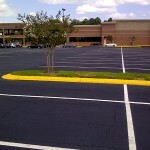 When asphalt becomes too thin or old to maintain its intended traffic load, an asphalt overlay is necessary. Asphalt that has become overly-thin or has reached the end of its lifespan will gradually develop potholes. Though asphalt overlay is somewhat expensive, it is absolutely worth the money. It makes your lot new again. Asphalt overlay thickness should be at least an inch in thickness for surfaces that are still sound. Potholes, sink holes, root damage, cracking and drainage issues must be tended to prior to the application of the overlay. The installation of curbing, water meters, valves and manhole drains must be raised for compatibility with the newly added asphalt overlay. Current asphalt that extends to the front of the entry doors, sidewalks and garages must be cut at least two feet to jive with the current flush. This also combats reversed slopes. 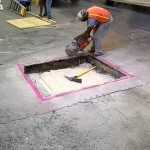 In the end, the quality and reliability of the new asphalt overlay hinge on the level of preparation and repairs performed at the outset of the project. In many instances, all that is necessary prior to the overlaying is a thorough cleaning of the surface. In certain instances, ACPLM’s asphalt maintenance team recommends clients consult with engineers to develop nuanced specifications and plans. Cracks within the asphalt overlay and reflective cracks are a replica of the crack pattern within the pavement structure below. These cracks are the result of movement within the pavement below the overlay. If cracks wider than a half-inch are identified, they must be stripped out and completely repaved. Root damage regularly occurs in aged parking lots. This is a serious problem that requires the attention of asphalt maintenance experts. 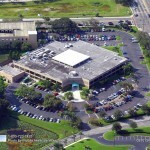 When parking lots are built, trees and plants are often planted. As time progresses, these trees grow and their roots expand. Some root systems grow down into the asphalt pavement. The asphalt subsequently rises and breaks. The result is a maintenance issue and even a safety hazard. Such an area must be cut so the roots can be removed and the root damage replaced. In some instances, lime rock base must be added and compacted prior to placing at least an inch of specialized asphalt. 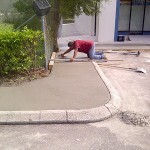 Let our team maintain your asphalt and you will be pleasantly surprised by the improvement. We know asphalt inside and out. Contact our asphalt maintenance experts today to learn more about our services and schedule an appointment. 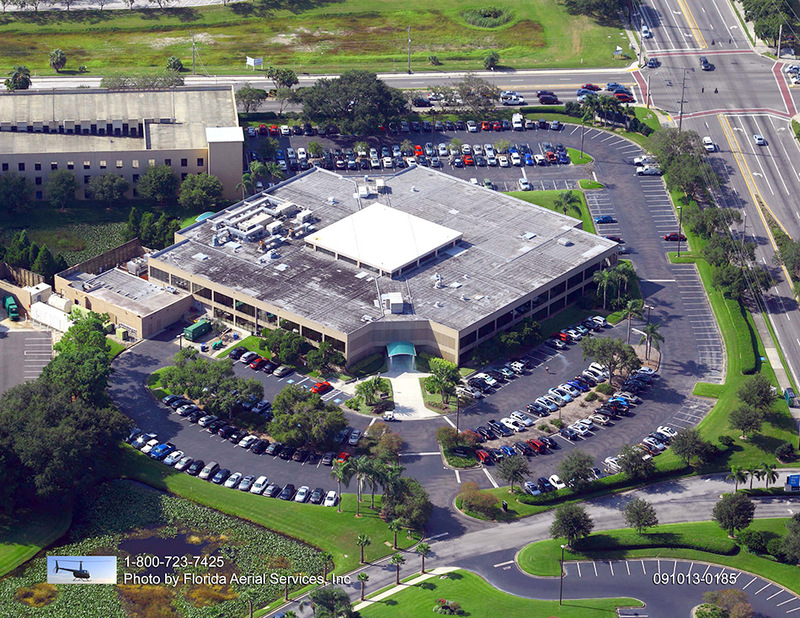 You can reach our asphalt maintenance experts at 888-959-9637.